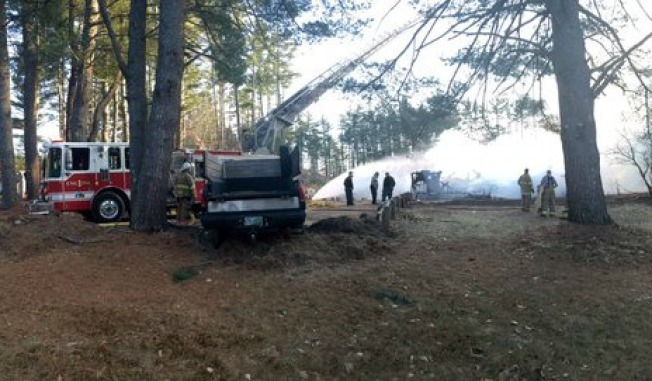 The Chester, New Hampshire, Fire Department are reporting a house at 546 Freemont Road was destroyed in a three-alarm fire Tuesday afternoon. The fire, which started when a homeowner was cooking, spread quickly because of the home's hardwood walls. Firefighters are still on scene. There are no reported injuries.